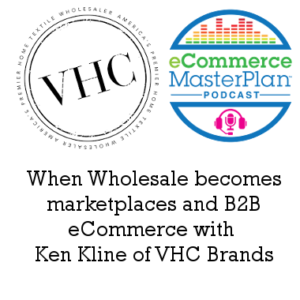 Ken Kline is CEO and co-founder at VHC Brands, wholesaling premium home décor – think bedding, curtains, rugs and more. The business was founded in the 1980s and since 2015 has pivoted from using traditional sales channels into a B2B eCommerce operation with teams in the USA, India and China. In 2018 they achieved over $11m in revenue. This episode is brought to you by SendPro Online from Pitney Bowes. SendPro Online makes it easy to save time and money–no matter what you send or ship–and you’ll always get the best rates and never overpay! With SendPro, you can compare shipping rates between carriers, plus save 5 cents a letter and up to 40 percent off USPS Priority Mail shipping. Today we’re diving into the world of B2B eCommerce – so selling to other businesses via eCommerce channels rather than selling to consumers. I know we have a fair few of you B2B bods out there listening – so I hope you find today’s episode useful. 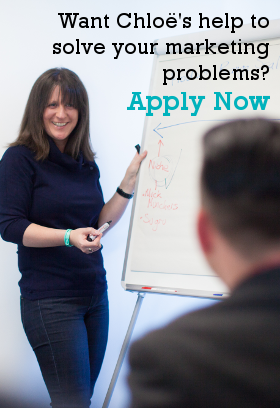 There’s also going to be plenty for those of you not currently wholesaling to learn to – always good to hear what’s happening in other parts of the industry. 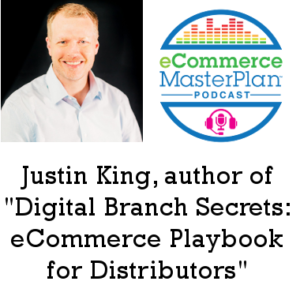 Digital Branch Secrets: eCommerce Playbook for Distributors it’s available on Amazon globally in Kindle, and Audio format, and available at Paperback in the USA too. 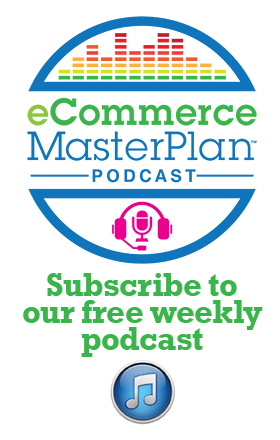 This episode is part of our 2019 eCommerce MasterPlan Growth Series sponsored by Omnisend, the all-in-one marketing automation platform that empowers ecommerce marketers to boost sales with omnichannel tools. 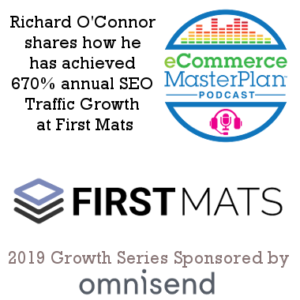 Richard O’Connor is the Marketing and Strategy Director at First Mats, a B2B eCommerce retailer selling industrial and commercial floor matting. They launched in Jan 2017 and are currently experiencing rapid month on month growth, with orders double last year, and have got there almost entirely with SEO. Omnisend – marketing automation platform tailored for eCommerce. Omnisend provides sophisticated omnichannel marketing automation tools for sales-driven marketers that have outgrown generic email marketing platforms. Engage your customers and boost your eCommerce sales with dynamic emails, text messages, Facebook Messenger, and retargeting ads on Facebook and Google – all from one platform. Try Omnisend for free for 14 days – just visit omnisend.com/masterplan and get started. Today we’re going SaaS – software as a service, that different stream of eCommerce I occasionally like to add to our podcast topics because it’s always good to take a look outside our own business model every now and again to find new ideas and inspiration. 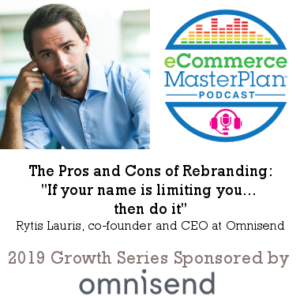 My guest is Rytis Lauris, the CEO and co-founder of Omnisend, an eCommerce marketing automation service trusted by over 40,000 marketers. Last year they undertook a major roll of the dice to enable future growth – by rebranding the company. Gary Amstutz has been running eCommerce businesses since 2005. Serving the B2B office supplies market in South Africa. 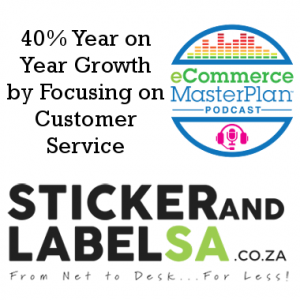 For Gary it all started with RubberStampSA.co.za, and he now also runs BusinessCardSA.co.za, NameBadgeSA.co.za, PlanPrintSA.co.za and StickerandLabelSA.co.za. Across those 5 Gary and team serve over 40,000 customers across South Africa.